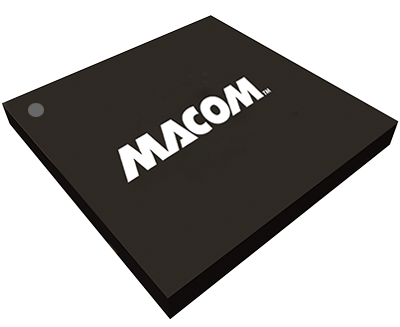 The MAOC-111100 is a voltage controlled oscillator for frequency generation. No external matching components are required. This VCO is easily integrated into a phase lock loop using the divide-by-two output. The extremely low phase noise makes this part ideal for many radio applications including high capacity digital radios. 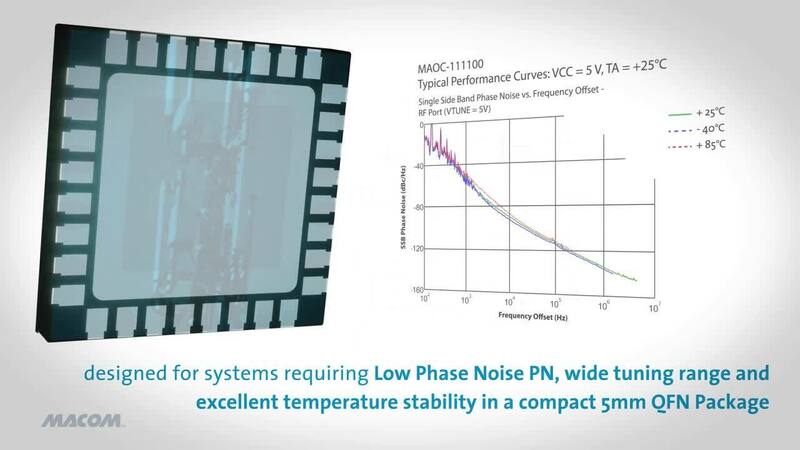 The MAOC-111100 primary applications are Point-to-Point Radio, Point-to-Multipoint Radio, Communications Systems, and Low Phase Noise applications. The 5 mm package has a lead-free finish that is RoHS compliant and compatible with a 260ºC reflow temperature. The package features low lead inductance and an excellent thermal path.